Kuler Touch is available now! 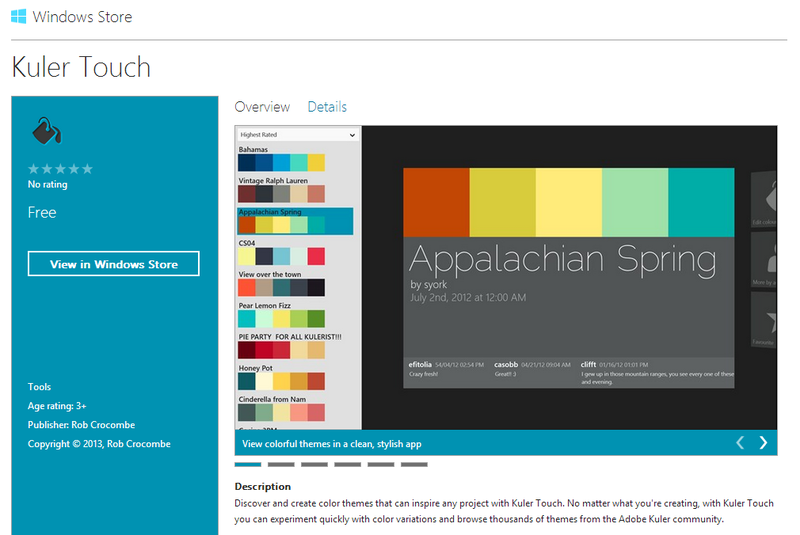 The fastest submission process I’ve had yet (just 5 hours), Kuler Touch is now on the Windows 8 Store! View thousands of themes from the Kuler community. Favourite the themes you love the most. Create your own themes or edit ones that others have made. Optimized for touch and Windows 8 - better than the Kuler website. Search and share themes with Windows 8 charms. Please download, rate & review it, thanks!